Twenty-four hour notice is hereby given and publicly posted on June 20, 2018. Twenty-four hour notice is hereby given and publicly posted on May 16, 2018. 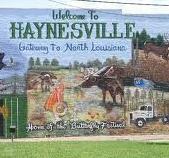 Copyright © 2010-2014 Haynesville Louisiana. All Rights Reserved.